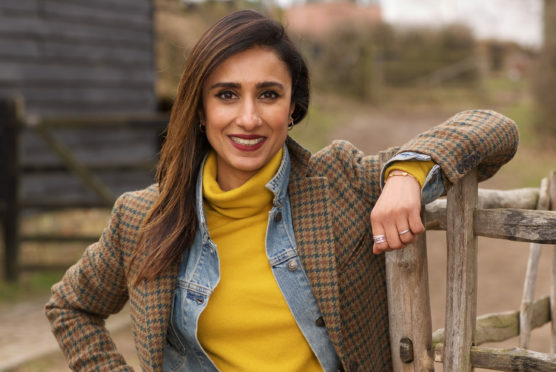 Anita Rani might be going from the peaks to the depths in her next two jobs, but the same can’t be said for her career. Now firmly installed as one of the nation’s favourite television presenters, the friendly 41-year-old has successfully scaled ever-greater heights since 2015, when she achieved what she calls “the holy trinity of BBC programming – Strictly, Countryfile and Who Do You Think You Are” within a 12-month period. 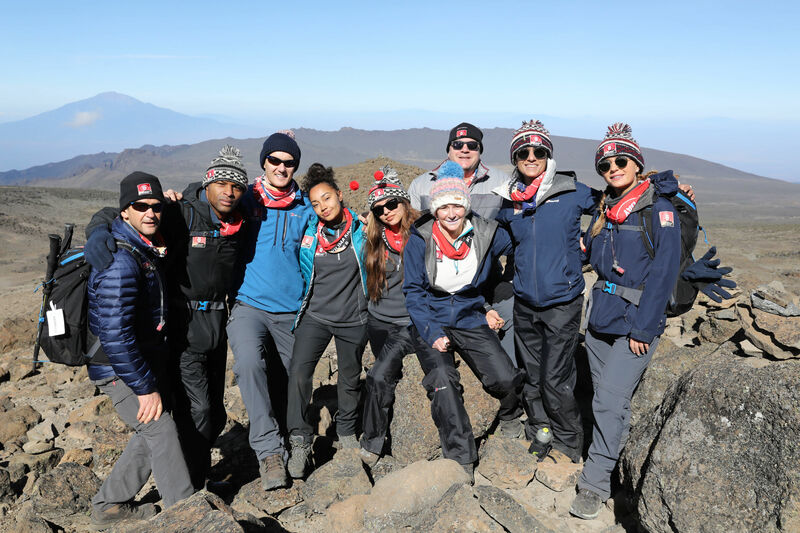 Having just returned from Tanzania, where she was part of the celebrity team that climbed Mount Kilimanjaro for Comic Relief, Anita is now taking on another monumental task. She will step into the shoes of Sir David Attenborough to present a live touring version of the groundbreaking Blue Planet II series, which comes to Glasgow’s SSE Hydro this month. With highlights of the series being shown on a huge screen and the 80-piece City of Prague Philharmonic Orchestra performing the score live in the arena, Anita promises it will be an awe-inspiring show. “I saw all of the visuals and heard the score in rehearsals and it’s just so magical,” Anita smiled. “The opening notes brought a tear to my eye. Like millions of people around the country who watched the documentary series, Anita was affected by the environmental issues the programme touched upon. Anita has just taken part in one of the planet’s most iconic challenges – climbing Mount Kilimanjaro. She was there last week with other celebrities including Strictly judge Shirley Ballas, ex-MP Ed Balls, BBC Breakfast presenter Dan Walker, Pointless host Alexander Armstrong and Little Mix’s Jade Thirlwall and Leigh-Anne Pinnock. A one-off programme showing how the team fared is on BBC1 on Thursday, March 14. 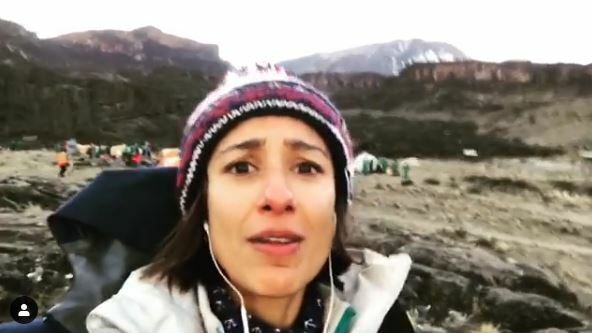 The arduous expedition took place to mark 10 years since a previous group of famous faces climbed the 19,000ft mountain for Red Nose Day. “I felt honoured to be one of those asked,” said Anita. “I went backpacking in East Africa when I was 21 and I did reach Tanzania, but didn’t attempt Kilimanjaro because I ran out of money. “So as well as being for a great charity, this was very personal for me, too. It felt like a milestone. “And it was hard trying to train beforehand, as there aren’t any hills in East London, where I live! Anita also loves the Scottish audiences, having been blown away by the reception she enjoyed while on the Strictly tour – first as a competitor and the following year as host. “The Strictly tour opens in Birmingham and that first time you feel the audience’s energy is spine-tingling, but everyone kept saying, ‘Wait until you get to Glasgow’. It was her Strictly success, reaching the semi-finals, that propelled a career which began in 2002 when Anita fronted a number of shows for Channel 5. “Previously to Strictly, people would have seen me popping up in places, doing documentaries on BBC2, but the nation got to see my mettle and they seemed to take me to their hearts. “That’s something you can’t predict. When you are on the show you don’t know what’s happening in the outside world. Her hardworking attitude is one Anita has had since growing up in Bradford. “It’s all I’ve known really, to keep going,” she admitted. “Hard work is something I’ve learned from observing. “If you come from a migrant family – my grandfather moved over here from India – then they work their backsides off to make a success of things. My parents worked so hard in their manufacturing business to give me the opportunities they didn’t have. “They sacrificed a lot for my brother and I. As Anita’s profile has risen, so too has her awareness of being looked upon as a role model and she now embraces that aspect of her career. “When I started out as a presenter and moved to London, I never thought about being a role model, I was just trying to make a career,” she continued. “Now I find I’ve lifted my head up and I’m absorbing more. 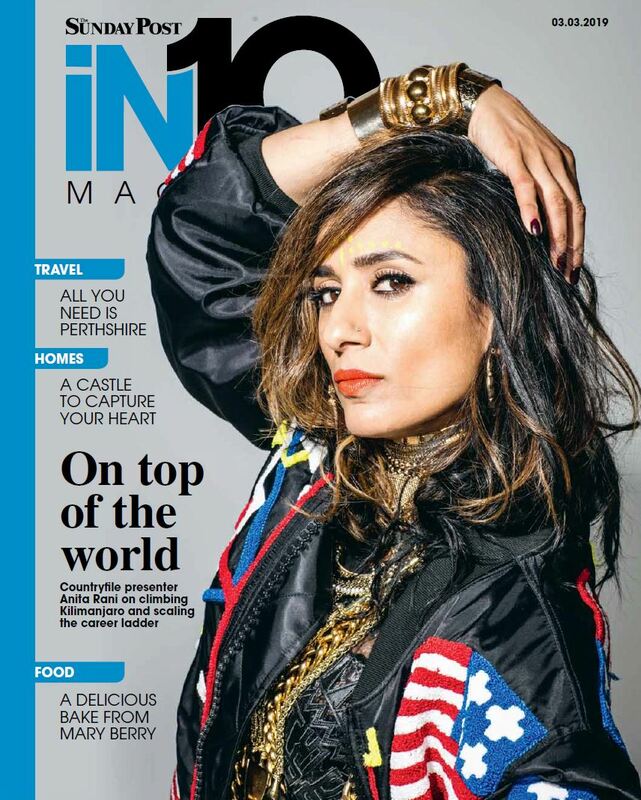 “When I get feedback from the shows I’ve been involved in, young Asian girls coming up to me or women generally, and they say they are inspired by me, I realise it is important. “I never had anyone who looked like me on the TV screen when I was growing up, so it’s really important to have that representation. When Anita isn’t working – and it’s not often these days – she like to unwind at home with her husband of nine years, Bhupi Rehal. “Quality time for me is to be with my husband and be in my house, since I spend so much time on the move,” she added. “I like to potter around the house and I love cooking and listening to the radio. “My brother had a baby recently, so I like to spend time with my niece, too. “It doesn’t take much time for me to switch off, even an afternoon is good, but I do think it’s important to have down time. Land or sea, mountain peak or ocean floor, there appears to be no stopping Anita.